Is it necessary for an iPhone upgrade or can I just get a new battery? Any iPhone user can know the struggle of having a weak battery life. But does that weak battery life have to impact you getting a new phone? It's nice getting a new phone with upgraded features, but after a few months, the battery life will be exactly like it was with your old phone. It was recently revealed that Apple purposely slows down older iPhones. Apple confirmed that it was slowing some performances at peaks to prevent sudden battery shut down. Power management was apart of the iOS update last year and was only required for phones with aging lithium batteries. Replacing the battery with a new one should restore back to average speeds. Due to this incident, Apple has begun to offer battery replacements for people with iPhone 6 or any later model a discounted price of $30. The battery replacements must be done through Apple. Avoid the fees of a new phone by replacing your battery with a new one. 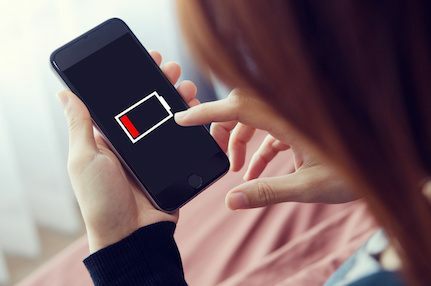 The functions of your iPhone will go back to normal with a battery change. Computer Corner is standing by to help with any trouble you may be having with your iPhone. Contact us or drop by and see us at our new convenient location in Leesburg.